Too occupied to manage your visa or passport applications? “Let us do it for you”. MPCS has dedicated specialists equipped with the capability to aid in the completion of the application process. 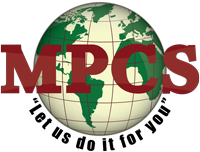 MPCS provides the highest level of hands-on, customized, customer service, with a 98% success rate which is elevating. The reputation of our organization speaks for itself.